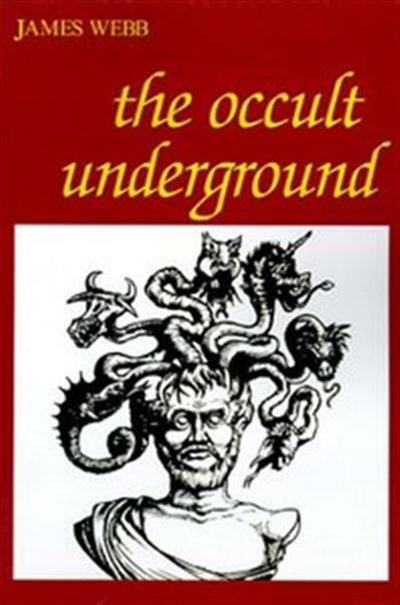 The Occult Underground by James Webb is a fascinating account of the various underground occult movements and individuals which sprang up at the end of the nineteenth century and represented a "flight from reason". Webb explains how developments in science and rationalist thought along with a decline in traditional religious belief had left many feeling bereft. It was out of this circumstance that occult movements grew and flourished. This book thoroughly discusses various occult individuals who played a prominent role in the shaping of esoteric thought during this period. Webb begins by discussing the various movements which arose out of spiritualism. Spiritualism which made the claim to be able to communicate with the deceased had a fascinating prehistory beginning with mesmerism (of Franz Anton Mesmer), magnetism, and the teachings of the Swedish mystic Swedenborg. Spiritualism developed in America to include such figures as the Fox sisters, who notoriously engaged in spirit rappings and other activities supposedly making contact with discarnate spirits, and Andrew Jackson Davis, an early mesmerist. An important influence on spiritualist circles is the Society for Psychical Research, developed to emphasis a scientific approach to supernatural phenomenon. Following the discussion of spiritualism, Webb turns his attention to the World's Columbian Exposition of 1893 at Chicago, a World's Fair featuring representatives from the world's great religious traditions. This encounter between the various traditions gave the West a unique opportunity to imbibe the teachings and traditions of the East. Webb notes how Chinese participants viewed this as an opportunity for "self-strengthening" of their beliefs and traditions, while Japanese participants sought to reassert national independence. Webb also notes the presence of Indian participants, particularly the Swami Vivekenanda who played an important role bringing the Advaita Vedanta to the West. Webb also distinguishes these religious traditions from Christianity, which sought to proclaim its unique spiritual truth above other religions. Webb also turns his attention to various further developments within the world of religion, including the creation of the Baha'i faith, Mormonism, and Christian Science. Next, Webb turns his attention to the Theosophical Society of Madame Blavatsky. Webb explains the mysterious career of Blavatsky as well as mentioning the roles of others including Annie Bessant and Charles Leadbeater and the role of Krishnamurthi as a coming messiah (the Maitreya or "world teacher"). Webb next turns his attention to various apocalyptic movements that developed within Protestant Christianity as well as the Roman Catholic reaction, emphasizing papal infallibility and devotion to Mary. Webb also explains the problematic relationship between Roman Catholicism and freemasonry in particular. Webb also discusses various developments out of Anglo-Catholicism and Roman Catholicism in which individuals sought a return to tradition often at the fringes of their churches. Webb subsequently traces out the development of occultism in the Bohemia of nineteenth century Paris. He notes the occult practices of such individuals as Josephin Peladin (heavily influenced by the Catholic reaction as well as the Cabbala and Rosicrucianism), Stanislas de Guita, Saint-Yves d'Alveydre, and various decadent writers, poets, and artists including Baudelaire and Huysmans. Webb next devotes a substantial discussion to the history of the secret tradition, emphasizing its roots in primitive mystery cults, early Christianity, Greek philosophy including Plato and Aristotle, neo-Platonism, Gnosticism, medieval heresy and witchcraft, and culminating in the achievements of such Renaissance thinkers as Ficino. Webb also shows the conflict that arose between the underground and the establishment as well as the role of the druids and other primitive secret societies in the formation of the occult tradition. Webb next turns his attention to various figures in the occult revival including especially the emphasis on Poland and Polish Messianism. Such figures as the Polish national poet Adam Mickiewicz, his spiritual master Andrei Towianski, and the mathematician-philosopher Hoene-Wronski came to play an important role in the development of Polish occultism. Under the influence of the Cabbala and Jewish belief, Poles came to regard themselves as a specially chosen people and to regard Napoleon as an important savior figure. Other occultists thoroughly discussed by Webb include the Abbe Constant (who was later to write under the name Eliphas Levi), an esoteric Christian socialist who wrote on magic and the Cabbala, Papus, Fabre d'Olivet, and Saint-Yves d'Alveydre. Webb also discusses the role of the Artist as a self-proclaimed elect. Webb next turns his attention to the spiritual in politics, including discussion of various pretenders to the throne following the period of the French Revolution. Webb also discusses the role of the occult in politics within England including discussion of the Celtic revival with particular emphasis on Irish, Scottish, and Welsh nationalisms. In this discussion, Webb mentions particularly the poet and Irish nationalist W. B. Yeats, who wrote on the "Celtic Twilight", as well as the Scottish nationalist Lewis Spence, who wrote on Atlantis. Finally, Webb turns his attention to various utopian schemes which played an important role among occultists. In particular, the figures of Saint-Simon and Fourier, both of whom advocated spiritual utopias, play an important role in this discussion. For Webb, utopianism represents an attempt by the occultist to translate the transcendent into the material world. This book offers an excellent study of various occult individuals and their philosophies which played an important role in the development of the late nineteenth century. It offers the reader a rare opportunity to glimpse into the world of these figures who challenged materialism and rationalism during their time. The Occult Underground Fast Download via Rapidshare Hotfile Fileserve Filesonic Megaupload, The Occult Underground Torrents and Emule Download or anything related.